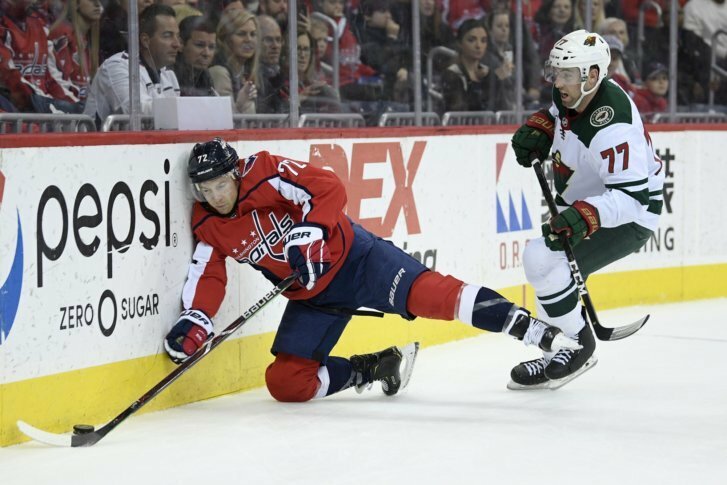 Without injured blueliner Michal Kempny and Carl Hagelin out, the Caps fell to the Minnesota Wild, which was one point out of a playoff spot, 2-1 Friday. In their last Western Conference matchup of the regular season, the Capitals knew they’d be in for a battle. Without injured blueliner Michal Kempny and Carl Hagelin out, the Caps fell to the Minnesota Wild, which was one point out of a playoff spot, 2-1 Friday. The first period didn’t see a lot of action, as both teams only managed six shots on goal. Minnesota opened the scoring with less than four minutes to go in the opening frame, when Jordan Greenway beat out Brooks Orpik and deked the puck past Braden Holtby. While Washington picked up two power-play chances, they were unable to solve Devan Dubnyk and trailed 1-0 heading into the second. Washington was able to tie it halfway into the second period, when Brett Connolly tipped a Nick Jensen point shot past Dubnyk for his 21st goal of the season. It’s Connolly’s fourth goal and seven point in the last five games. The Capitals nearly took the lead early in the third, when Tom Wilson sped out of the penalty box for a breakaway. However, he was unable to put the rolling puck in the back of the net. With around eight minutes to go, Luke Kunin scored his sixth of the season and first goal since Feb. 22 on an odd-man rush to make it 2-1 Wild. Despite a late rally, the Capitals couldn’t complete the comeback, as Dubnyk made 21 saves to secure the win and push the Wild into a second-place wild-card spot. Holtby stopped 25 shots, and Washington still holds a three-point lead in the Metro.